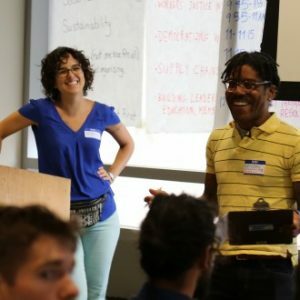 Our programs are designed to connect, educate, and serve co-ops and cooperators in the Philadelphia region. The Cooperative Leadership Institute is a rigorous training program for individual leaders working within cooperatives. For detailed information, visit the CLI page. CLI cohort participants will develop skills that are applicable across co-op sectors. The topics include content on leadership, co-op culture, vision and strategic planning, delegation, accountability, creative problem solving, community organizing, participatory management, and planning for growth. The CLI will increase participants’ awareness of their personal learning and communication styles, as well as their leadership strengths and challenges. If you are interested in attending next year or have general program questions, please email michaela@philadelphia.coop. In many ways, starting a co-op is like starting any kind of business. You need a business plan, you need customers, and you need capital. However, co-ops are a unique type of business driven by a set of principles and values. If you’re looking to start a co-op or convert your business into a co-op in the Philadelphia region, contact us at info@philadelphia.coop! We’d be thrilled to meet you, hear about your future co-op, and help you map out how to make it happen. We’ll also help you figure out how to finance your cooperative business. We are a Kiva Zip trustee, which enables us to connect you to zero-interest, crowdfunded microloans, and we can introduce you to other potential sources of capital for co-ops as well. PACA communicates within the co-op community with our twice-monthly newsletter, the Philly Co-op Scoop, in which we share news, information, jobs, and events. We feature co-ops in promotions such as our Holiday Gift Guide. We also organize book clubs and study groups to bring people together to talk about ideas and action. We don’t just preach to the choir, though. We actively promote the cooperative model in many other arenas. We engage thousands on social media about the benefits of cooperation. We partnered with filmmakers at Haverford College to produce a short documentary about co-ops in the Philadelphia area. We produced a radio PSA to introduce co-ops to broader audiences. We also have an ongoing project of discovering and promoting the history of economic cooperation in our region. We organize neighborhood-based and regional nonprofits to engage in dialogue and action around community wealth building through cooperatives. Community of practice members aim to build wealth for low-income people by creating cooperative businesses that will be owned and controlled by low-income communities for generations. 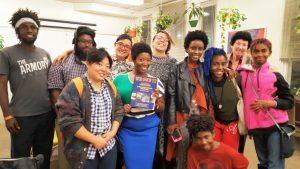 PACA coordinates quarterly gatherings with presentations on rotating topics such as worker ownership conversions, cooperatives as a tool to fight gentrification, and Co-ops 101. To get more information about the Community of Practice, contact Michaela Holmes at michaela@philadelphia.coop. 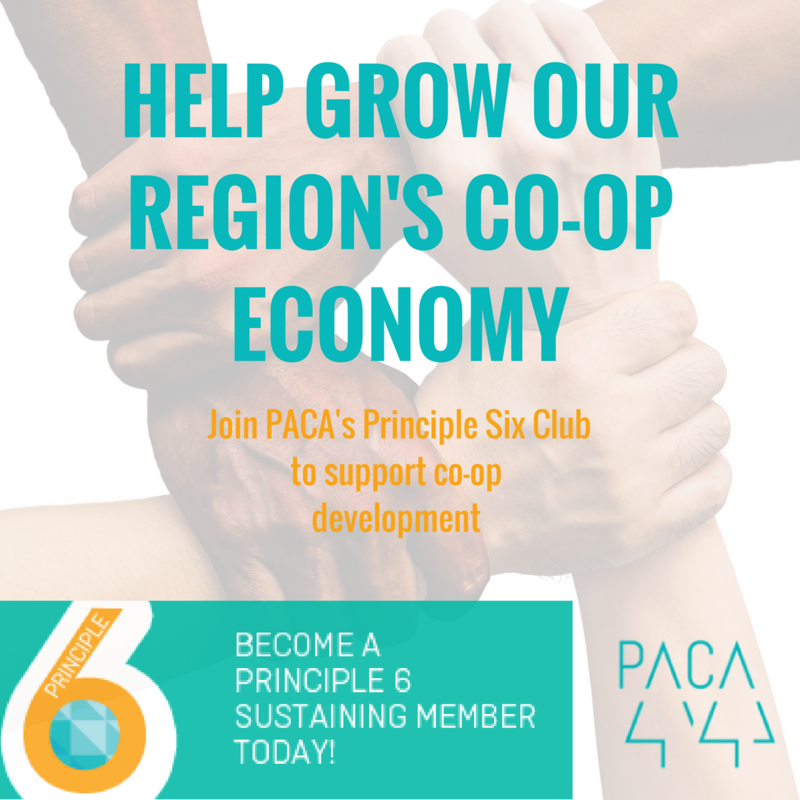 PACA joins with our allies and members to advocate on municipal, state, and federal levels for policies that support the growth of cooperative businesses. Download our 2016 policy paper.